It's an axe! with teef! 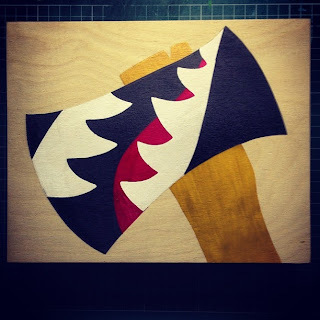 Woody Teef Axe... 8"x10" acrylic on wood panel... chop chop!! !